Apple customers who purchased a built-to-order Mac Pro may need to get creative if they want to take advantage of the company's interest-free financing options. The special financing is available to qualifying customers and allows them to spread out any qualifying purchase made within the first 30 days over anywhere between six and 18 months, with no interest--as long as they keep their account in good standing and make all monthly payments on time. However, the financed amount is calculated based on when purchases are posted to each customer's account; in the case of hardware purchases, Apple traditionally only charges customers once products are ready to ship. 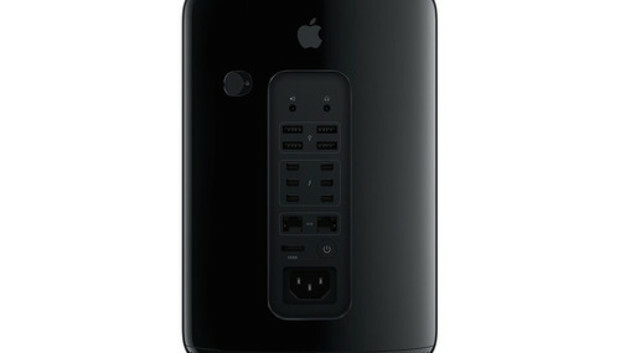 Given that the company is currently quoting delivery times for Mac Pro models well into February, early-bird customers who signed up for financing and then bought a Pro may end up getting charged outside of the initial 30-day period. This, in turn, means that they may be expected to pay for the entire purchase in full or be left scrambling to secure alternate financing. Luckily, reader Edward Taffel contacted us via email to alert us of the issue and pass along an interesting tip that he says was suggested to him by Apple's own business support reps. Instead of using the financing to purchase a Mac Pro directly, Taffel suggests you purchase enough Apple Store gift cards to cover the computer's cost, and then use those gift cards to pay for the hardware. Because gift cards post immediately to your account, they will fall within the 30-day financing promotional period, which will allow you to take advantage of the interest-free option. There are a couple caveats to keep in mind. First, it's probably a good idea to double check with Apple and make sure that the company will allow you to purchase gift cards with your financing account. You'll also want to make sure you purchase the right kind of cards--only Apple Store gift cards can be used to buy hardware, whereas iTunes gift cards cannot (and don't even qualify for financing). Finally, going this route means that you will have to start making your payments as soon as the first monthly bill of your financing is due, which may actually end up being before you get your brand new Mac Pro. Still, we're willing to bet that's a small inconvenience compared to facing the full bill 17 months before you expected.